Throughout the town of El Campo, Texas, residents, workers, and visitors enjoy the relaxing atmosphere and the natural beauty of the area. There are interesting activities to do, such as; museums, parks, and even hang-gliding opportunities around the area. Located just between Edna and Houston, along Highway 59, folks have easy access to the surrounding areas, too. If you live or work within the El Campo vicinity, then our company, 7580 Power Washing, would like to offer our services to you. We are your local experts on all exterior power washing projects. The professionals from 7580 Power Washing have many years of training and experience with all types of pressure washing projects for residential or commercial properties. Additionally, we also offer pressure cleaning services for industrial-based customers, with first-hand knowledge on cleaning heavy equipment and fleet machines. There is no job that is too small or too large for our pressure washing professionals to tackle. If you have a project in mind that you would like assistance with, then we will gladly offer free estimates for potential projects. For our residential customers, we have many services that may interest you. 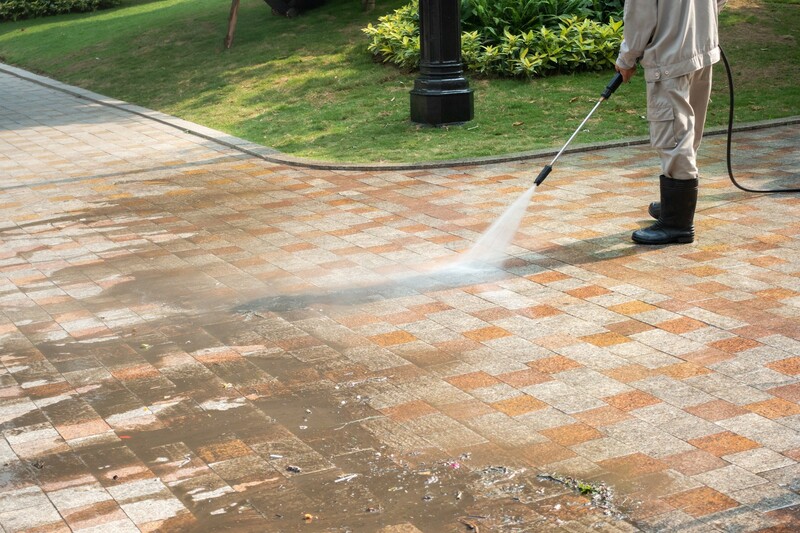 We provide superior pressure washing services for homes, walkways, driveways, decks, patios, fences, pool areas, and any other hard-surfaced area that you may have on your personal property. Our commercial customers may be interested in some of our heavier-duty power washing services. Projects such as; cleaning store or office exteriors, walkways, parking lots, dumpster pads, drive-thru areas, and many more exterior areas will benefit from our power washing services. We know that the appearance of your business is important to you, because your business’ success often depends on how well it is perceived from the outside. The professional staff from 7580 Power Washing company take great pride in the work that we offer to our customers. We always place safety first, and we always strive for a 100% customer satisfaction rate. Our goal is to work diligently and efficiently for our customers, so you will be pleased with the final, remarkable results. If you have a pressure washing project that we may help you with, then please contact us today! We look forward to hearing from you!